The consultants at Telstar Consulting Services have been helping clients solve problems, create order from chaos, and find balance since 1992. We have deep roots in software and technology, including enterprise software development, website development, and social media. And because technology requires people at the helm, we have equal expertise in process engineering, business analytics, finance, training, change management, communications, event management, and end-to-end marketing. We bring experience and insights with us, but we don't push ready-made templates or tools. We listen, learn, and then design solutions that correctly scale to your requirements and budget, using assets you already have. By starting with an understanding of your organization and challenges, Telstar creates sustainable solutions that address your needs long after our work with you is complete. Our clients trust us. We step into messy and delayed projects and we get things back on track. We put tools and processes in place that integrate with your team and we communicate with you to make sure our collaboration goes smoothly. Then we transfer knowledge and practices so that you can do it yourself the next time around. Telstar serves a broad range of clients and is a woman-owned business. When not saving the day at work, our consultants use their skills and experience to volunteer in their communities. As CEO of Telstar, Lokelani provides vision, direction, and leadership both to Telstar and to our clients. Lokelani oversees Telstar’s board and our strategic partnerships. She is responsible for managing the breadth of operations, finance, human resources, and all client services. She embodies our corporate philosophy of value, respect, and integrity in delivering world-class, long-term solutions. After a successful career in information technology with organizations such as Nintendo, Lokelani started Telstar Consulting Services in 1992. With degrees in Business Administration, Education, and Software Engineering, Lokelani’s strong educational background has put her in a position to lead this growing and highly successful consulting firm. Throughout her career, Lokelani has worked as a developer, analyst, and project manager on accounting, purchasing, inventory, and manufacturing systems. In her spare time, Lokelani enjoys playing soccer, spending time with family, and traveling to her hometown of Kona, Hawaii. At Telstar, our company culture guides our motivations, decisions and behaviors through our core values. It is built on the premise that we treat people as we would like to be treated. 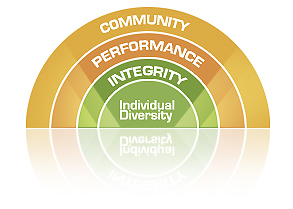 Individual Diversity: We continually develop and foster an exciting, motivating, and inclusive environment. Integrity: We develop and promote trust by taking responsibility, acting ethically, and encouraging honest and open dialogue. We maintain an environment that fosters accountability, responsibility and commitment. Performance: We value our clients’ business performance, creating long-term, win-win relationships and excellence. Copyright © 2008 - 2014 Telstar Consulting Services. All Rights Reserved.